Economy Quilt Blocks also known by many other names has been around forever. My Heather Ross and Munki Munki stash has been around not quite as long but I decided the two should get acquainted an make some magic! There are numerous patterns available on the internet in a variety of sizes for this block. 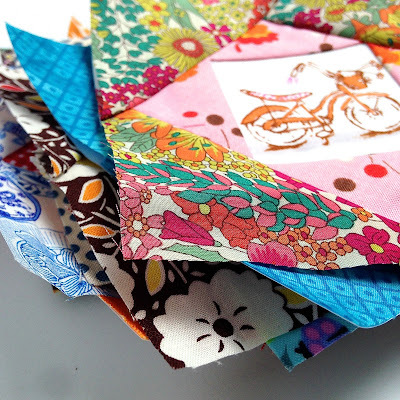 It is the perfect beginner paper piecing pattern. If you think you cannot paper piece, try this block! 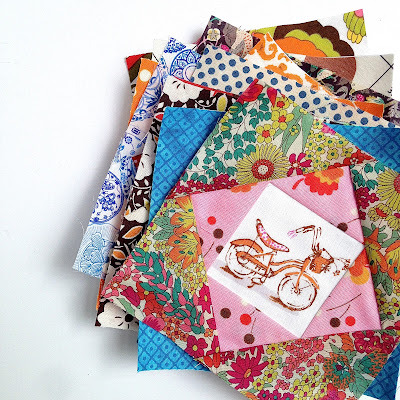 For these blocks, I chose the free paper pieced pattern from Generations Quilt Patterns. They offer the pattern for this block in four different sizes. I chose the 4 inch block for these special fussy cut centers! To help with perfect fussy cuts, instead of making a plastic template, I cut the center out of the pattern. Some of the centers are very tight with no room to spare. Being able to clearly see the fine lines ( I need all the help I can get) and placement is a must. After figuring out the best placement, I used my 3 in ruler to trim the 1/4 inch seam around the outside each side of the frame. 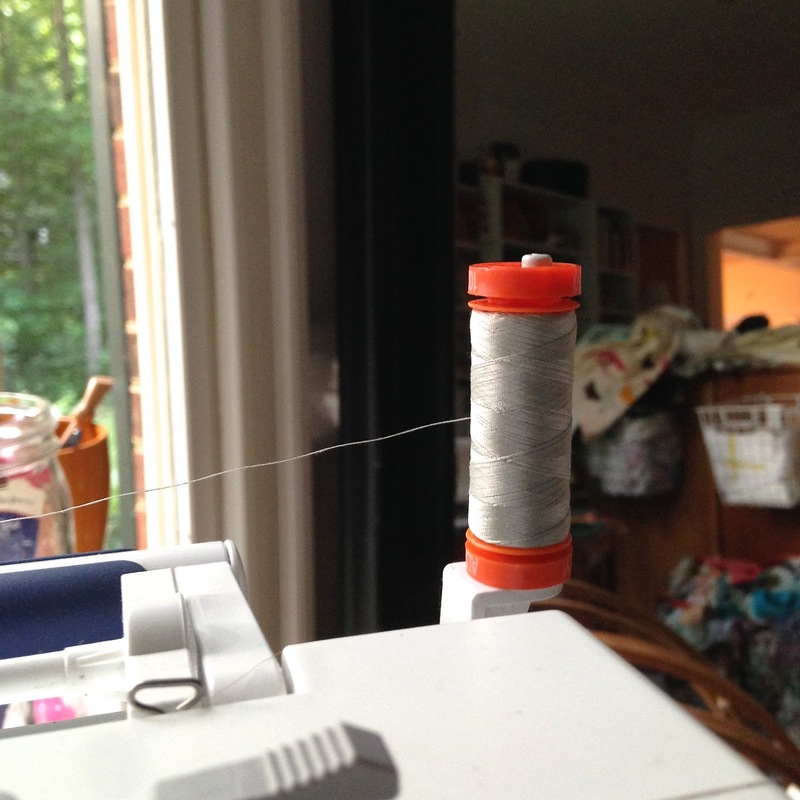 If you feel more comfortable with a little more seam allowance that is good too! Better to have too much than too little. You cannot put it back! I use Aurifil 50wt thread for all of my piecing and paper piecing. It is a two ply thread that is both very thin and also strong. Perfect for making your blocks flat! I love 2600 but am out of stock here in the gogostudio. I have been using many different shades of the med to light gray that I have on hand and am finding they work just as well. Here are a few more of the blocks I completed yesterday and the day before! 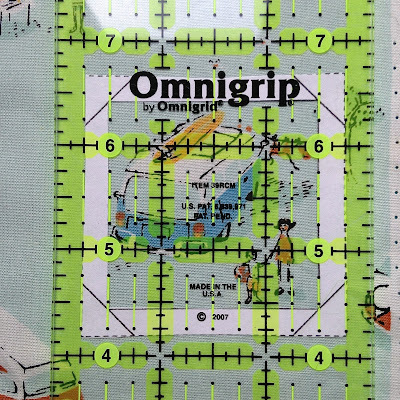 I have more center fussy cuts ready to go and a huge mess of fabrics to create more today! If you are making these and are on Instagram , I would LOVE to see yours! Please find me at gogokim and tag me with your #economyblocks. Blair from Wise Craft Handmade and Lucy from Charm About You will be making some too! 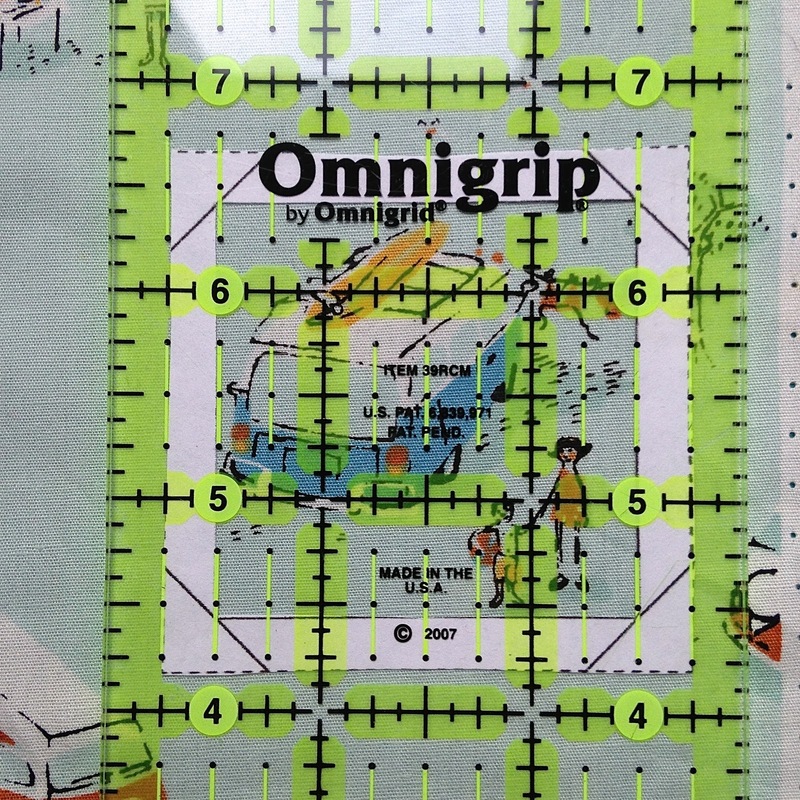 I love this fun online quilting club! Let's make some Economy Quilt Blocks! I'm lifeonislandstudio on instagram. I love your IG !! I love your blocks, thanks for sharing the tips and pattern. I have been collecting fabrics to make a similar quilt. These are so sweet. Thanks for sharing!